The top award in a competition designed to foster downtown Eau Claire businesses has been named in honor of a man who devoted his career to helping local entrepreneurs. The grand prize in the annual Jump-Start Business Competition will now be known as the Jim Mishefske Award. 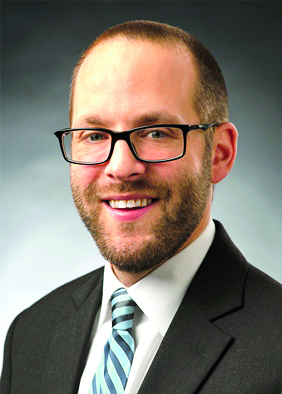 Mishefske, former director of UW-Eau Claire’s Small Business Development Center, died unexpectedly last April at the age of 36 not long after moving to Madison to become state director for the Wisconsin Small Business Development Center. Mishefske had served as a judge for the Jump-Start program, now in its 11th year. The Jim Mishefske Award includes $5,000 in cash for start-up capital, a media promotion package from Downtown Eau Claire Inc., a two-hour creative marketing and brand development meeting with JB Systems, one year of free website hosting, and $250 credit toward a branding/website project. Jump-Start is aimed at entrepreneurs who want to start businesses in – or relocate them to – downtown Eau Claire. Applications are due June 12. To check out full contest details and to download an application, visit http://tinyurl.com/JumpStartEC. If you have questions, contact Elaine Coughlin at elaine.coughlin@eauclairewi.gov or (715) 839-4914.